Summer can cause quite a bit of stress to your lawn. Heat and summer droughts can cause damage and take away a lot of the enjoyment that a green and lush lawn provides. By understanding and respecting the seasonal changes of turf grasses, you can take steps to care gently for your lawn as temperatures rise. grow best when temperatures are in the 60s F.
Centipede, and Bermuda) like temperatures in the 70s. wear and tear as they are less able to recover from stress and traffic. brown and brittle until early fall. • Lawns need at least one inch of water per week, and more when the heat is severe. Use a rain gauge or straight-sided can to keep track of the amount of water received from rainfall and irrigation. dormant lawns – wait until they green up in the fall. TIP: Try Jonathon Green Organic Fertilizer, available at your local Agway. By summer, many lawns begin to show signs of wear, especially in a few popular pathways. Consider installing stepping stones to minimize damage to your grass, and try to minimize traffic on dormant, brittle lawns. If you’re getting plenty of rainfall and your lawn is actively growing, you can apply a bit of fertilizer to these areas to help the blades recover faster. 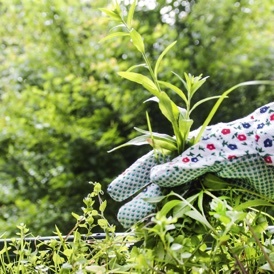 Summer is the season to get those growing weeds removed before they bloom and disperse seed for next year. Targeted postemergent herbicides are designed to kill broadleaf weeds without harming turf grass, but they must be applied when temperatures will be below 85° F for a few days. Keep in mind that during the heat of summer, ANY product can be damaging to already-stressed lawn grasses, so use sparingly or hand-pull weeds instead. 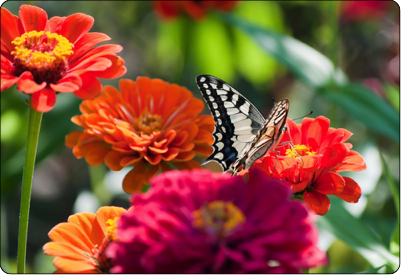 TIP: Use weed control products when temperatures are under 85 degrees F.
• Dormant or drought-stressed summer lawns can be more susceptible to insect infestations, such as chinch bugs, cutworms, armyworms, sod webworms, fire ants, fleas, and mosquitoes. Minor infestations often take care of themselves, but severe problems may require attention. 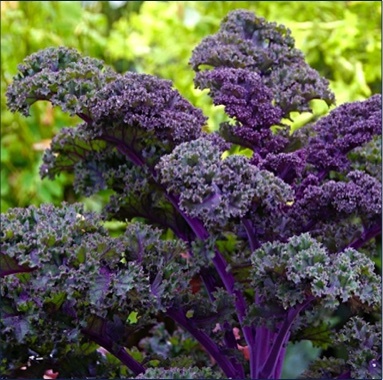 • Summer is also the time for fungal diseases, such as powdery mildew and brown patch. Apply fungicide if needed, and avoid watering in the evening to keep nighttime moisture at a minimum. • Grubs will begin hatching in your lawn over the summer. If grubs typically cause problems in your lawn, you can begin applying grub control around midsummer. TIP: Use insecticides only if you have severe lawn damage. If you're having a wedding, graduation or just any big party on your property during June, don't forget to contact us as soon as possible if your regular mowing schedule needs to be modified. We are happy to accommodate you but it sure helps to know as far in advance as possible. We appreciate your consideration. Click here to visit our Archives page where you'll find lawn and garden information you might have missed. • Water deeply and less frequently to encourage drought-tolerant roots. And try to water early in the day to reduce evaporation and fungal growth. • Either water your lawn regularly and deeply, or don’t water at all. Don’t let your lawn go brown and dormant, then try to “water it back to life.” If your lawn goes dormant in summer, it should stay that way until fall – don’t worry, it should recover once the weather changes. TIP: Small tuna cans make a good temporary water gauge. • Raise your mower blade in the summer. Taller grass is more drought-tolerant, grows deeper roots, and helps shade the earth to prevent weed seeds from germinating. Cool-season grasses should be mowed at 3”- 4” during the summer, or as high as your blade will go, while warm-season grasses should be mowed at 2”- 3”. • Mulching grass clippings helps keep moisture levels steady. 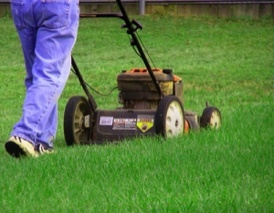 • Mow regularly, to prevent cutting more than 1/3 of the grass blade at a time. This keeps your grass healthier and prevents the clippings from smothering the grass. • Keep mower blades sharp. Make sure your mower is cutting your grass, not tearing it, to minimize stress during hot temperatures. Content: Today's Homeowner.com. Julie Day. We’d love to have some new testimonials for our website. 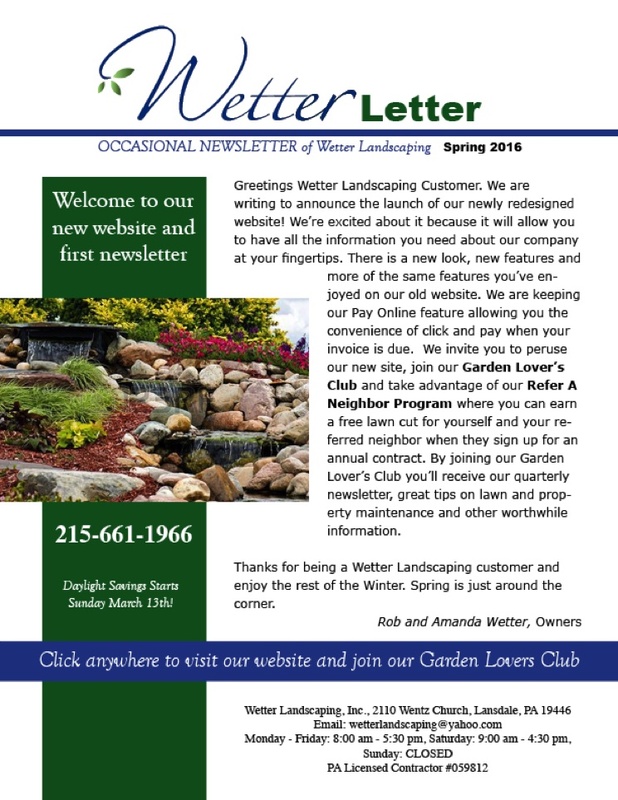 Please consider writing a brief review and emailing to wetterlandscaping@yahoo.com and we’ll automatically place your name in our new $50 Wawa Gift Card Giveaway. Please email us by June 30 as the drawing will take place on July 1. Many thanks. 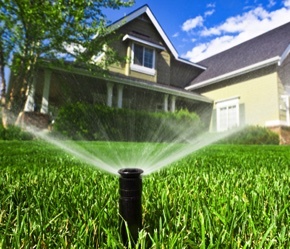 There are great reasons to consider an automatic sprinkler system for your property. Not only will it help keep your lawn and landscaping beautiful and healthy looking but it is the easiest and most efficient method of getting your lawn the water it needs. When correctly installed, it is also a great way to conserve water as well. 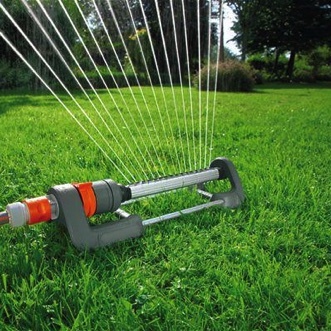 Everyone worries about giving their lawn either too much or too little water. 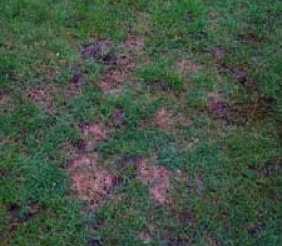 And when your lawn develops that dreaded brown color, it's often too late to recover for the rest of the season. 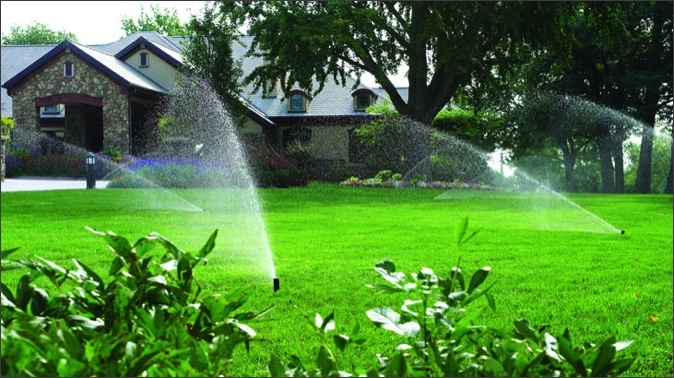 There are two ways to go when it comes to an irrigation system. Either a professionally installed or a do it-your-self automatic irrigation system will work perfectly if competent planning is exercised. Anyone who has an automated system will tell you it's one of the best investments they've made to their property. It is an easy and cost effective method to enhance your home and property, increase its value and, in the long run, save yourself a lot of precious time and money. There are several critical factors to consider. It's not just a buy a system and magically your lawn is happy and beautiful. 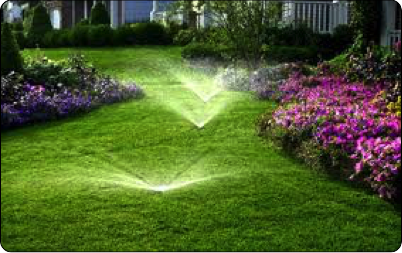 The design of your irrigation system will ultimately determine its performance, durability and longevity. Before you actually begin installing a system, whether it's a DIY or professionally installed, a system design should be created. cusomized for your specific lay of the land and requirements. If you're having a wedding, graduation or just any big party on your property during the summer, don't forget to contact us as soon as possible if your regular mowing schedule needs to be modified. We are happy to accommodate you but it sure helps to know as far in advance as possible. We appreciate your consideration. 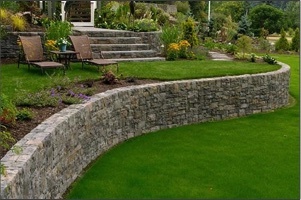 Save 10% on Patios, Retaining Walls and Walkways. Congratulations to Ann Becker of Lansdale. It's true. Get over it. Summer is done. Even though we'll have some beautiful warm days, once those school bells ring, the summer spirit is history. But with that departure comes the opportunity for renewal. And to accomplish projects on your property than you just never got to last spring. 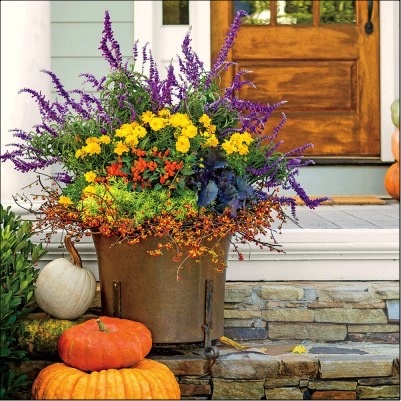 We all know that fall is a great time to plant and to tackle tasks that will help next spring be better than ever. 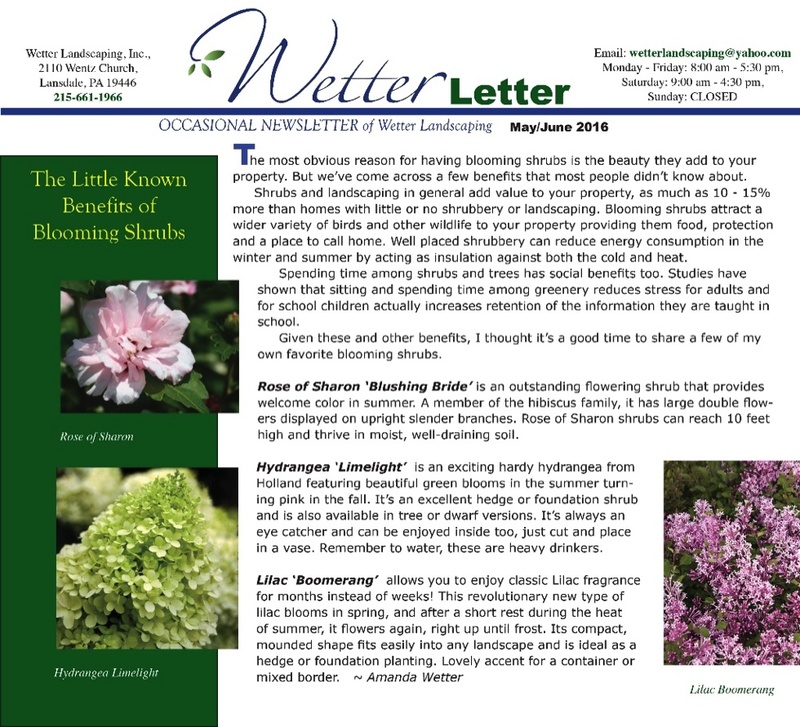 This month Wetter Landscaping wants to share some great tips for fall planting and next month we'll tell you why you should consider aerating your lawn and tips on how to do it. 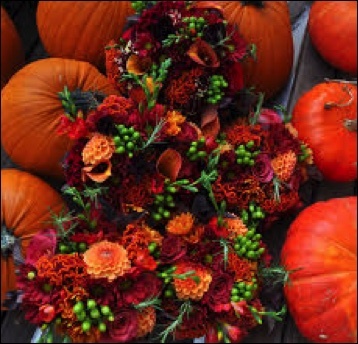 No matter what style of gardening you practice or what zone you live in, fall plantings gives you the opportunity to expand your garden options. 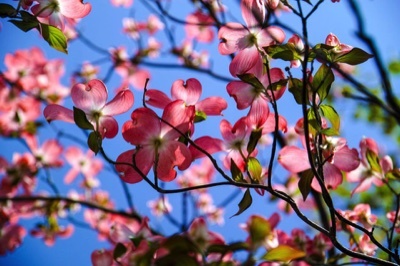 It's a great time to plant perennials, bulbs, trees and shrubs. Before you plant though, make sure to allow adequate time for the roots to get established before the real cold weather hits. Roots grow in the fall but slower than warmer seasons, even when soil temperature gets as low as 40 degrees. 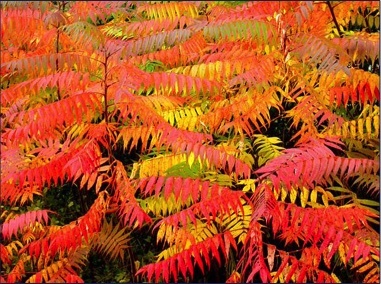 When the weather starts dipping and fall is upon you, plant the species that are easily established such as deciduous shrubs and Maple, Ash, Thornless Honey Locust, Crabapple, Sycamore and Horse Chestnut trees. Better to wait till spring to plant trees that are slower to establish like Oak, Birch and Willow. If you're going to mulch don't load up around the trunk. 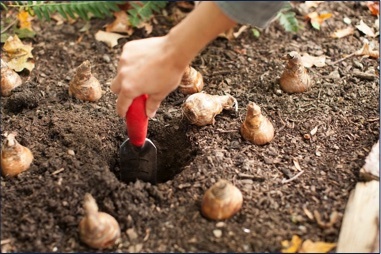 Recently, there have been conflicting methods for planting trees but most experts agree not to dig your hole deeper than the depth of the root ball or container but three or four times as wide. Ask us for the best methods based on where you live and the type of soil you have. 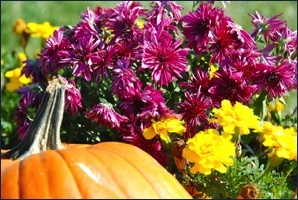 Fall has specific benefits for planting. The cooler air makes it easier on both plants and gardeners. The soil is still warm allowing roots to grow until the ground freezes. 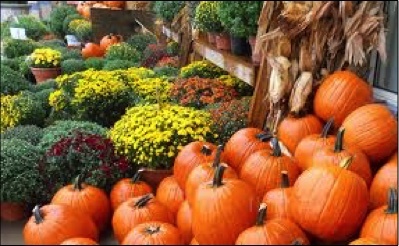 Fall has a greater number of good days for planting than in the spring. Spring rain and other unpredictable weather can make working the soil a lot more difficult. And of course there's more free time as opposed to the frantic days of spring. And let's not forget the great deals offered on trees, shrubs and perennials in the fall when nursery inventories need to be cleared out. they don't like to nibble, such as Daffodil, Crown Imperial, Grape Hyacinth, Siberian Squill, Allium, Fritillaria, English Bluebell, Dog's-tooth Violet, Glory-of-the-snow, Winter Aconite, or Snowdrop. Of course fall is the best time to patch up those bare spots on your lawn. The combination of warm soil and cool air are good for getting new grass to grow. It's also a good time to manually remove weeds and filling them over with grass seed. 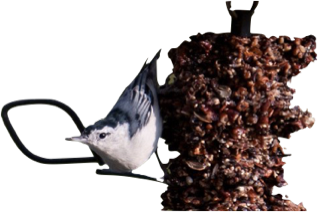 Planting seeds for perennials and biennials for your garden makes good sense because the winter does a good job in winterizing the seeds so they germinate in the spring. Put the seeds directly into the ground where you want them to grow. Fall is the best time to establish new turf and do most lawn chores. Around our parts, cool-season grasses such as bluegrass, fescue, and ryegrass should be fertilized in early September and again in late October or early November to give a boost for earlier spring green-up. There are lots of fall tasks that can enhance your lawn, gardens and overall landscaping. Get yourself organized by picking the realistic projects for your available time. Mark your calendars now to avoid looking back in November and wishing you would have done it when you had the chance. Aeration is a pretty big deal in the lawn-care world, and you probably have seen the after-effects, even if you did not realize that it was called aeration. Aeration is the process through which air is circulated through, mixed with or dissolved in a liquid or a substance. The technical definition is a bit complicated, so to simplify with respect to lawn care: aeration is the process through which soil is either pounded down with spikes, or removed as core samples. In both cases the effect is the same, i.e., pockets appear where air can enter the soil more easily. 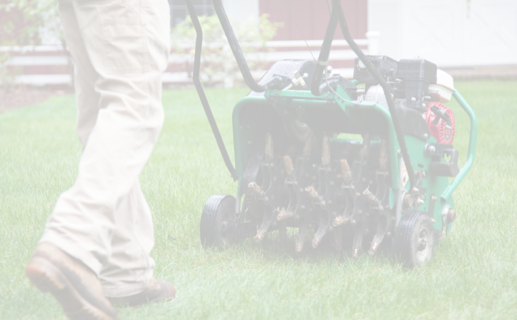 Experts recommend aerating twice a year, once in spring (March-May), and once in fall (August-November). If you missed the first season, then don't stress! Just make sure to get the fall aeration done to ensure a healthy lawn throughout the winter. Items 2 and 7 on the list, cannot be overstated enough. Thatch is a layer of dead, mostly plant tissue that protects lawns by regulating temperature. Too much thatch however, can limit soil oxygenation and watering effectiveness! Giving your lawn a good once-over with a rake can prevent some of the negative side-effects of thatch, but to truly make sure your lawn is great, aeration is necessary. Number 7 is especially important for people who like to gather outside. Anyone who has ever had a bonfire, or a party outdoors, knows that the lawn looks beaten down the next day. Aeration prevents soil from compacting under heavy strain, and also allows your grass to return more quickly to its natural state, minimizing the chance for damage. “So what does this mean for grass growth?” You might ask. The answer is two-fold. When aeration is performed alone, the existing grass gains deeper roots, but this can lead to spotty grass due to over-competition for nutrients. To truly capitalize on your newly aerated lawn, over-seeding must be performed, and now is the perfect time to do it! Over-seeding is the process in which more grass seed than needed is laid down to increase the chance of seed germination. The whole process takes about 8-10 weeks, hence why we recommend doing it now, and almost always leads to a healthier and denser lawn. Putting down lots of grass seed also ensures that your existing grass does not grow its roots too long, which is also why we recommend performing over-seeding as soon as possible after aeration. We hope that this summary has been helpful. If you have any questions, or would like to schedule an aeration and seeding, or any other lawn care service, call us during business hours. 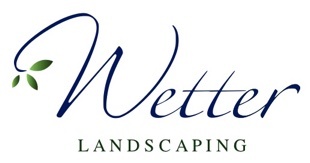 Wetter's team of trained professionals will ensure that your lawn is the health, happy, and beautiful. AND for help with your fall planting projects. 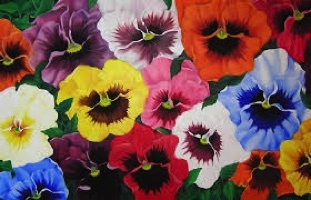 We have mums, cabbage, pansies and violas. 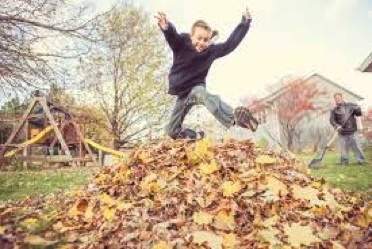 There are two obvious choices when it comes to doing your fall leaf clean-up: do it yourself or hire a professional. Wetter Landscaping provides this service and we take great pains to make sure we do it for you as efficiently as possible to keep costs down. We'll provide a free estimate based on your property and nature of the clean-up. 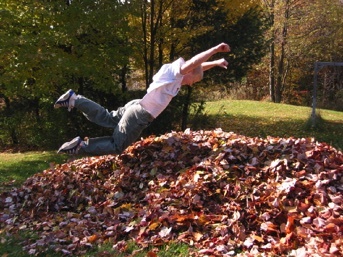 Many people don't realize that a fall leaf cleanup isn't necessarily a once-a-season task. It depends on the length of the fall season and the degree of neat and tidy you want on your property. Adjoining property owners may not have a similar philosophy as yours and their leaves can end up on your property adding to the job. The good news is that do-it-yourself leaf removal doesn't have to be a blister-inducing, exhausting project. With the right tools, leaves can be gone before Sunday afternoon kick-off time. Come this time of year, drop your lawnmower settings down as low as it'll go without scalping the turf. Short grass gives leaves less to get caught on as they drift around the neighborhood. It also means the mower will vaporize any leaves that have already fallen. You can also purchase a mulching mower—the kind without a bag that pulverizes clippings and drops them back into the turf to feed it. If you're going to use a leaf blower stay away from the wimpy types that can barely blow out a candle. The typical plug-in version usually isn't powerful enough to do the job efficiently. Invest a few extra bucks and get one that can handle the job properly. 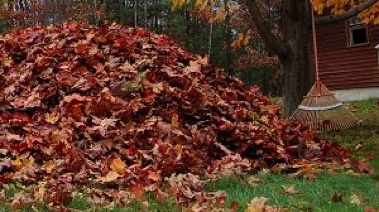 Use a large tarp to move large leaf piles to either the curb for pick-up or the woods. Even better are leaf haulers which usually have sidewalls to keep the leaves corralled. They are not expensive and can save a lot of aggravation. If you must pack your leaves into brown paper bags for municipal curb pickup, check out the Leaf Chute ($9 at Lowe's or Home Depot). It's a low-tech, three-sided plastic tube that props open the empty bag and has a wide mouth for easy loading. Once the bag is full enough to stand on its own, remove the chute and pack in as many more leaves as you can stamp down. We all think about just letting nature take its course when it comes to fall leaf cleanup. Before choosing to just let things take care of themselves, remember that excess leaves on the lawn blocks sunlight and reduces water evaporation, which can cause fungus, mold and disease. If leaves get too thick, they can cause stress to a lawn and require re-seeding or even worse for your lawn, Wet, decomposing leaves can also be a breeding ground for mosquitoes so weigh the risks before choosing to cross a fall leaf cleanup off your list. 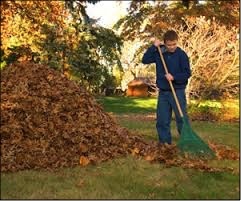 Cleaning up your fall leaves can be a relatively simple project when you choose to work smarter, not harder. Without proper preparation your sprinkler system might be damaged by freezing temperatures. Here are some tips from Rain Bird on how to prepare your irrigation system for winter conditions. 1. Insulate your assets: Shut off the water supply to the irrigation system. The main shut off valve for your irrigation system needs to be protected against freezing. Make sure it is wrapped with insulation (foam insulation tape and a plastic bag) to protect it from harsh winter temperatures and prevent it from freezing. If you do not have a main shut off valve, you might consider installing one as a preventative investment. Also, any above ground piping needs to be insulated. Self-sticking foam-insulating tape or foam insulating tubes commonly found at home supply stores are fine. 2. Stay in control: If you have an automatic system then you will need to "shut down" the controller (timer). Most controllers have a "rain-mode" which simply shuts off the signals to the valves. The controller continues to keep time, the programming information isn't lost (start times, valve run times, etc.) and the clock continues to run throughout the winter. The only change is that the valves will not activate. If your controller is responsible for activating a pump, as a precaution you should remove the wires that are connected to the MV (Master Valve) and common terminals. This will prevent the possibility of the pump being accidentally activated which could cause damage from overheating. An alternative to using the rain mode is simply to shut off the power to the controller. If you do, you'll need to reprogram the time and potentially all your other settings as well, in the spring. 3. Drain the pipes: Now you need to remove the water from the pipes and sprinklers so that it won't freeze/expand and break the pipe. There are several ways to drain your pipes: a manual drain valve, an automatic drain valve or the compressed air blow-out method. However, since there could be potential safety risks we recommend contacting Wetter Landscaping as we offer sprinkler winterization services this time of year for many of our customers. 4. Protect valves and backflow preventers: Insulate backflow preventers and valves if they are above ground. You can also use insulation tape for this. Be sure not to block the air vents and drain outlets on backflow preventers. We provide winter plowing services for commercial properties and Home Owner's Associations. Sorry but we are unable to provide snow plowing for private residences. Although we've had a lot less snow than usual, winter temperatures, wind and moisture will still take its toll on your lawn. 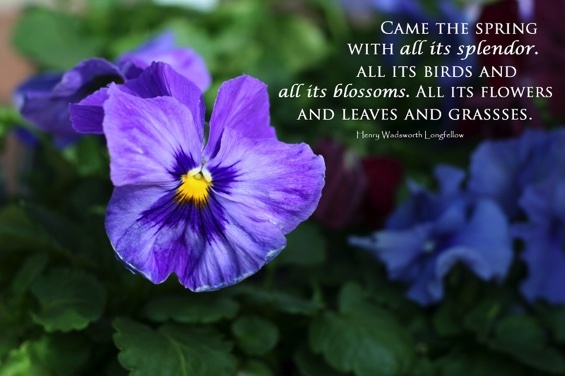 When we look at our lawn in general, we don't see the thousands of individual grass plants. Some may be damaged and some may not. That's because there are a variety of ways a lawn can be damaged. Don't forget about our Wetter Referral Program. For every new contracted customer you refer, you'll receive a free lawn cut. Just contact our office to make your referral or find out more information. It's never too soon to prepare for Spring! of your lawn than in the summer. Soil compaction damages root growth all year long, not just in winter. Poor drainage areas will also damage oir even kill plants especially in winter months. Other factors including soil structure, air circulation and fungus diseases also can damage or even kill your grass plants. While there is virtually no way to avoid these conditions in winter, you can mitigate some of their impacts in early spring with a couple important strategies. 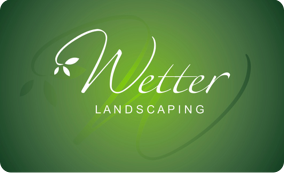 Wetter Landscaping offers these services or you can do them yourselves depending on how much time and effort you can invest. Seed generally will not thrive where there is too much shade or where the soil has become too compacted. To make matters more difficult, it is very hard to tell when your soil has become compacted and that's why a professional is sometimes needed to diagnose your lawn problems. There are other remedies that can be employed and we would be glad to come out an do an assessement of what mnight be done to minimize your winter lawn damage. There is no debate that an early start will make the war on weeds less brutal. Our pre emergent weed applications will get you the best results and we have varying treatments for different types of lawns. 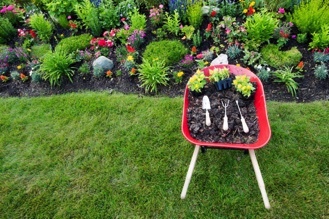 Mulch is the icing on the cake to any new landscape design, controlling weeds and offering a multitude of benefits to your garden flowers and plants. But before you put down mulch in your yard, there are some tasks that need to be completed. 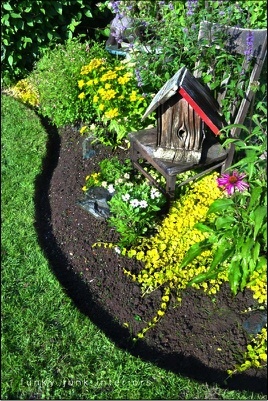 Below are 10 steps to prepare your landscape and flower beds for mulch. It is best to trim nearby trees and bushes before mulching because of the debris they create. Use a rake to remove dead leaves, weeds and trimmings. An adjustable rake is generally best for this task. 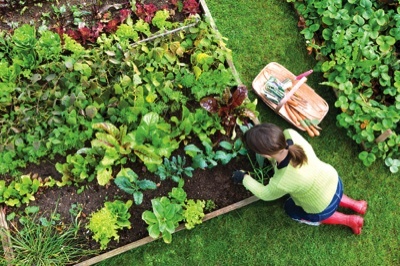 After your beds have been cleaned, cultivate any compacted soil or mulch. A rototiller or hand cultivator will do the job. Cultivating will allow moisture and air to pass through the soil more easily. Creating a clean edge really enhances your landscape and gives it a professional look. An edging shovel or power edger can be used to create your edge. Try using a garden hose as a guide to create flowing curves. Using a stiff rake, such as a mud rake, smooth out all the surfaces to be mulched. Otherwise, your mulched flower beds or mulched areas around trees will look lumpy. Apply a pre-emergent, such as Preen, to prevent germination of weed seeds. A second application, after the mulch has been installed, can add protection from weed seeds that may germinate into the mulch. 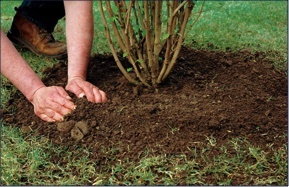 Using your hands or a rake, apply new mulch over the existing cultivated mulch or soil. Most experts suggest a layer of mulch 2 inches (but no more than 3) thick. 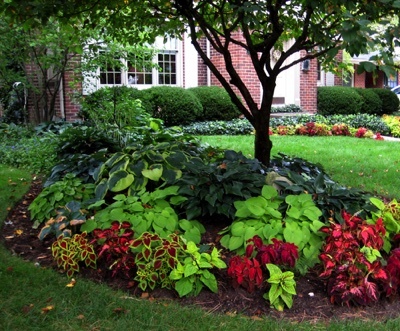 When mulching around trees and woody, stemmed plants, keep the mulch away from the base. When you're finished mulching, water to moisturize mulch and help it settle into place. Once a month or so, check your mulch for compaction. 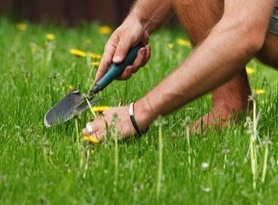 If compacted, use a garden claw, rake or cultivator to loosen (scratch) it. This will allow water and air to pass, which helps prevent the growth of fungus and restores its appearance. 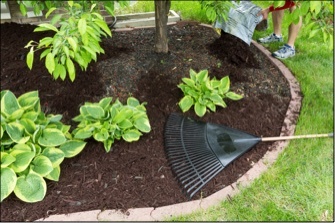 If fungus is present, remove it and the surrounding mulch. Rake existing mulch to cover the area, and then water thoroughly. Fungus is a sure sign that your garden mulch is compacted and your beds have dehydrated. Cultivation and watering will be necessary. The simplest and most subtle borders that effectively separate your lawn from a garden are 4-in.deep strips of steel, aluminum or plastic. They all bend easily into smooth, graceful curves and stop the spread of grass roots. However, painted aluminum and steel offer the sleekest, most refined look because they almost disappear against the grass and garden bed. The plastic types have a prominent black bulge along the top edge. All work best on fairly even terrain; if you have a lot of dips and rises, it's easier to install a paver border. Although aluminum and steel cost about the same, we like aluminum because it is much lighter. It weighs about 41 lbs. per 100 ft., while steel weighs about 225. With aluminum, you get a professional look without the heavy lifting. The key is to cut a clean vertical edge along the grass with a square spade. Then you can lay the border tightly against the edge when you stake and backfill it. There's no rule for shaping the edge. Simply follow the edges of your lawn, making smooth, gradual curves. To make smooth, sharp curves, bend the edging around a circular form. By now you've probably taken a walk around your property and observed first hand any damage and impacts from the winter season. Take stock of the situation and plan your projects for the year. 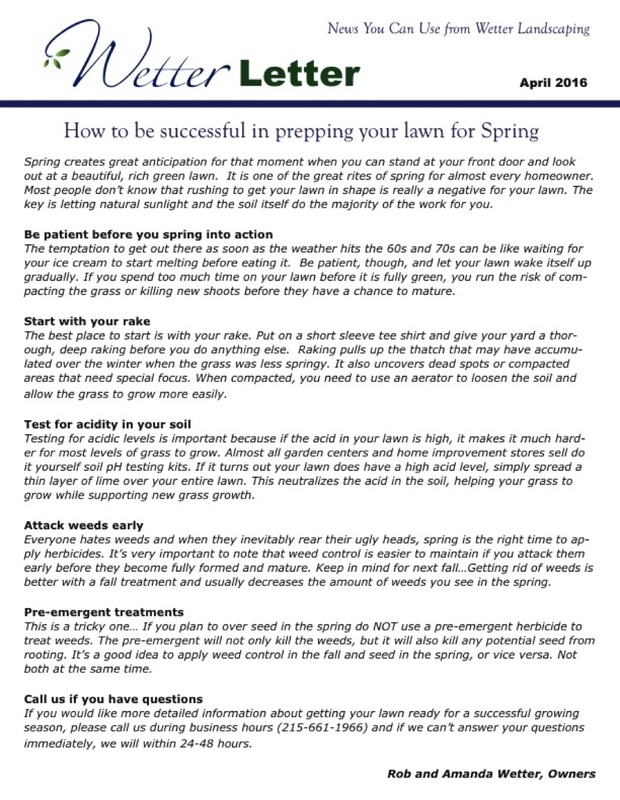 Check out the turf for dead spots that may need seeding, address areas where poor drainage has caused your grass to thin, and check for structural problems with any of your ornamentals. The first steps to launching your spring offensive is make a good hit list of the things you'll want or need to do. Mulch, weed control products, pruning and equipment are good things to consider. Steel edging is the most common metal edging, although you might not find it at local nurseries. 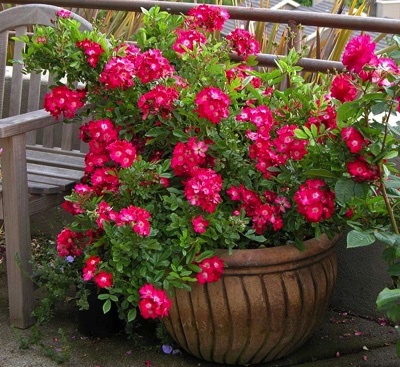 Look for it at larger garden centers or at landscape suppliers, which is where most pros get it. (Search “Landscape Equipment and Supplies” online or in your Yellow Pages.) Steel edging comes in 4-in. wide by 10-ft. long strips in a variety of colors. Keep in mind that it'll eventually rust, especially in a salt environment. It's heavy, floppy stuff and needs almost full support when you transport it. Aluminum edging, besides being lighter and stiffer, won't rust and is also available in a wide variety of colors. 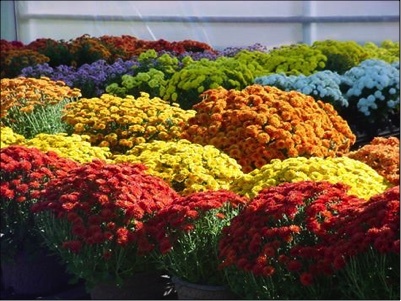 Look for it through landscaping suppliers, although it might be difficult to find. You might have to order it. Be sure stakes are included with your purchase. 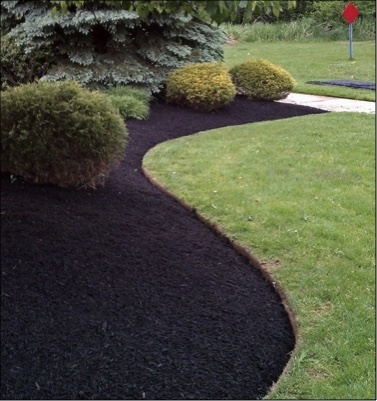 You'll find black plastic edging at every garden center and home center, sometimes in both regular and heavy-duty thicknesses. Buy the thicker material. It better withstands those inevitable bumps and hard knocks that go with lawn mowing. Also, please call your local utilities or 811 to locate underground lines before you dig and install all edging. During the summer, the sun remains high and in the sky a lot longer than it does in winter. No matter where you are, the sun is going to set in the west.That's why you should plant your garden on the west side of your home so the sun isn't beaming down on your garden at the hottest point during the day. Also, you could plant certain types of trees and vining plants to protect your more sensitive flowers from the summer heat. Try sunflowers, perennials and Asiatic lilies. • Salvias, which tolerate extreme heat and extreme cold. 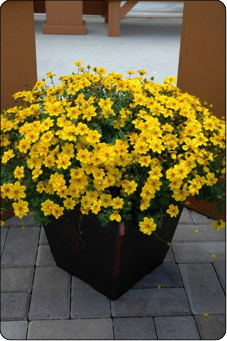 • Coreopsis flowers, which are bright yellow and need very little water to thrive. • Coneflowers that come in a rainbow of colors and can grow up to three feet. • Rudbeckia, also known as "black-eyed Susan" perennials, which are drought-resistant and grow 48 inches high. 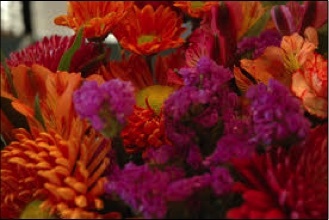 Plus, you can cut them and stick them in a vase inside the house; they last longer than most cut flowers. If you are growing a fruit and vegetable garden, tomatoes are surprisingly hearty against summer heat. Other vegetables like eggplant and black-eyed peas and certain fruits will also thrive in hot and humid weather. Finally, you want to be careful about how you water your plants. There are several things you may not know that will help keep your plants from drying out this summer. The first rule is to water your plants early in the morning. If you water your plants at night, chances are you'll get some of the leaves wet. Overnight, that water can turn into mildew and disease. Once the sun rises, the heat is going to burn off the water too fast for your plants to absorb it. In the morning, they will have a better chance of absorbing water. Second, just because it rains, it does not mean that your plants have had enough water. You can measure by leaving a tuna can outside in the rain. One can equals an inch of rain. Your plants need a third of that every few days to thrive. If your soil gets too dry, it could become resistant to water and will need more water than usual. 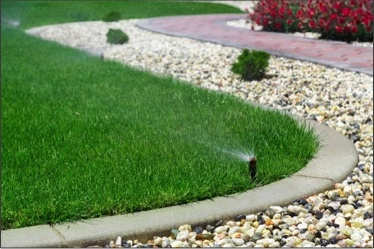 to learn how we can improve your lawn and landscaping and save you time, water and expense. Although we've had tons of snow, winter temperatures, wind and moisture will still take its toll on your lawn. 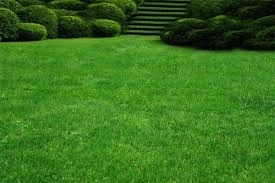 When we look at our lawn in general, we don't see the thousands of individual grass plants. Some may be damaged and some may not. That's because there are a variety of ways a lawn can be damaged. Shade definitely hinders grass growth because the sun is needed for photosynthesis. In the winter months, shade covers different areas of your lawn than in the summer. Soil compaction damages root growth all year long, not just in winter. Poor drainage areas will also damage or even kill plants especially in winter months. Other factors including soil structure, air circulation and fungus diseases also can damage or even kill your grass plants. to diagnose your lawn problems. There are other remedies that can be employed and we would be glad to come out an do an assessement of what might be done to minimize your winter lawn damage. There is no debate that an early start will make the war on weeds less brutal. Our pre emergent weed applications will get you the best results and we have varying treatments for different types of lawns. 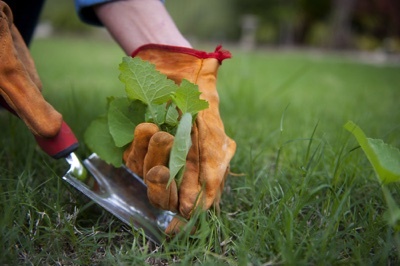 Contrary to popular belief, pre-emergent weed killers don't destroy weeds and their seeds. They simply stop them from growing. Some seeds are known to last fifty years, so if the herbicide isn't applied each year, the weed will grow. The big question for pre-emergent weed killers is when to apply them. Pre-emergent herbicides only work if they are applied to your lawn before the weed's growth period. But if applied too early, weather will dilute the herbicide and the weed will grow unencumbered. 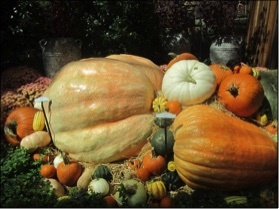 According to garden experts from many regions of the U.S., the two dates to remember are March 15 and September 15. Those are the two dates of the year around which pre-emergent fertilizers should be applied so that they activate before seasonal weeds make an appearance. for our "5 Step Lawn Fertilizing and Weed Control Program"
are now being mailed. Please mail back to our office as soon as possible. 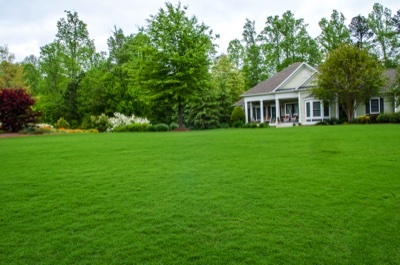 If spring lawn care is about getting your lawn healthy and green, summer lawn care is about KEEPING it healthy while temperatures soar and rainfall becomes a fleeting memory. It's also about maintaining a lawn that can withstand all the barbecues, games, parties, and running feet that summer has to offer. Here are some tips for keeping your lawn in shape over those long, hot days of summer. 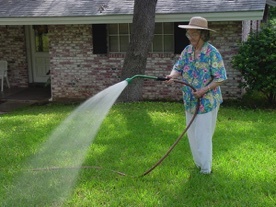 Lawns need at least one inch of water per week, and more when the heat is severe. Use a rain gauge or straight-sided can to keep track of the amount of water received from rainfall and irrigation. Water your plants less often, but deeply. • Water in the early morning or evening hours so the sun and heat don't steal moisture from your plants. Ideally, grass should get at least one inch of water per week. 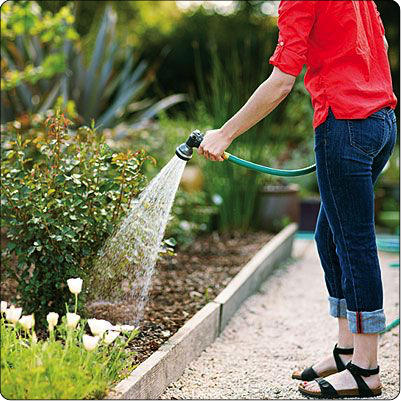 • Use drip irrigation instead of sprinklers and hoses. Drip irrigation waters plants slowly so the water doesn't run off or evaporate. • By summer, many lawns begin to show signs of wear, especially in a few popular pathways. Consider installing stepping stones to minimize damage to your grass, and try to minimize traffic on dormant, brittle lawns. Dormant or drought-stressed summer lawns can be more susceptible to insect infestations, such as chinch bugs, cutworms, armyworms, sod webworms, fire ants, fleas, and mosquitoes. Minor infestations often take care of themselves, but severe problems may require attention. If you are going through a drought and the weather is very dry, you shouldn't be cutting your grass at all. This adds unnecessary stress to the grass during a time when it's already scarcely growing. If you walk on your grass and can still see your footprints an hour or two later, it is probably too dry to mow. 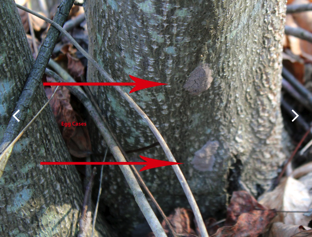 Check your trees for dead hanging limbs that you might need to cut away. Thunderstorms are frequent during the summer and tree limbs can do a great deal of damage. Also, prune any plants that might interfere with your AC condenser and trim bushes that might be too close to the house. Trim any bushes. If left untrimmed, they can trap moisture and they invite termites. 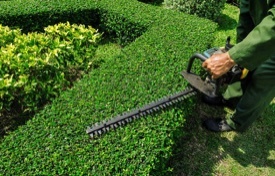 Keeping bushes trimmed can also eliminate potential hiding places for burglars or other unwanted visitors. Vines come from the ground and grow on the house. Creepy crawlies come from the ground, too, and they can use those vines to get into your house. Vines also trap moisture against the house and they can eat away the mortar in between your bricks, jeopardizing the stability of your exterior walls. So, while vines might be pretty they are not good for your house and you should trim them back regularly. If you really want to keep the vines hanging around, here's a tip — install a garden trellis next to your house. They come in a variety of sizes and they keep vines away from your foundation. 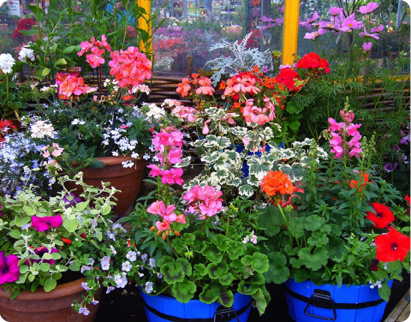 Many people add potted flowers and herbs to their outdoor living spaces in the summer months. 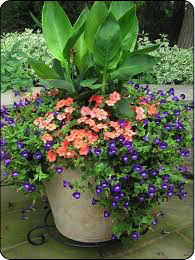 If doing so, protect your investment and enjoy them fully by watering potted plants regularly, add mulch to pots to help retain moisture and place them in spots where they will get shade during the day. 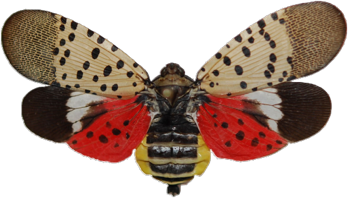 BEWARE OF THE SPOTTED LANTERNFLY! If you think you might be affected, call us immediately to discuss our remedial program and inspection procedures. you might be at risk. In February 2018, the USDA officially declared war on the spotted lanternfly, giving Pennsylvania $17.5 million to fight the invasive species.The spotted lanternfly is about an inch long, boasting peacock-like spotted outer wings and jarringly bright, red and black inner wings. Despite those showy appendages, it’s not good at flying and instead prefers to hop. Native to Vietnam, China, and India, it has become a major invasive species in the two places it has managed to travel to: South Korea and Pennsylvania.